and help other heart patients like herself. You can get yourself involed and come and join in. Numbers are limited to 150 so please let us know and we will keep you all up to date. Send us an email using this link and we can exchange some details and send you a sponser form. 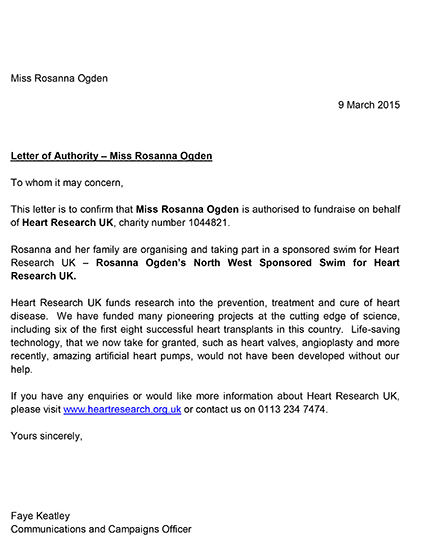 BRAVE toddler Rosanna Ogden overcame a life-threatening heart tumour — by learning to swim. 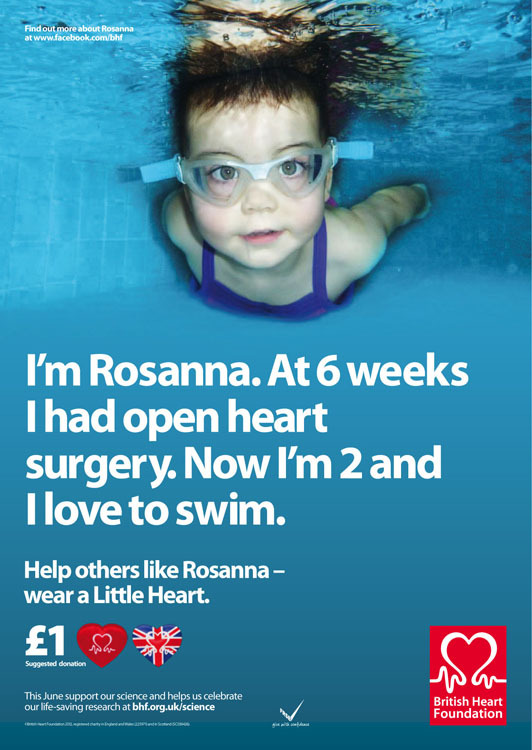 Rosanna was just six weeks old when she had open heart surgery. Doctors suggested swimming could help her recover — and she has not looked back. She could swim in a pool before she could walk. Next month the two-year-old will be the youngest person to take part in a charity swim for the British Heart Foundation. "Little Mermaid" Rosanna was diagnosed with rhabdomyoma — a benign heart tumour so rare there have only been three similar cases in the UK in the last decade. Parents Mick and Sanam were told she might not survive the eight-hour operation. Mum Sanam, 26, said: "It was terrifying. Without the surgery she couldn't have lived. "One of us was allowed in theatre to kiss her. Mick was too upset, so I did it. They had to wrestle me out again though." Surgeons managed to remove most of the tumour — the rest will shrink as she grows. They said swimming could help build up her strength. Sanam first tried her in the pool when Rosanna was ten weeks old. Sanam, from Manchester, said: "She loved it so much we started taking her several times a week. "She had no problem going underwater and never cried. The doctors were very pleased and said she was getting stronger even faster than they hoped." 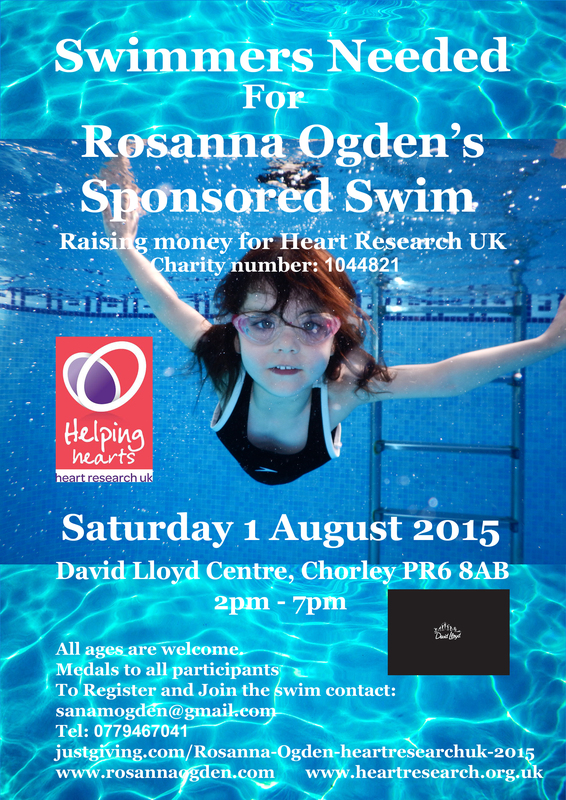 Rosanna first swam unaided on a holiday in Spain aged 13 months. 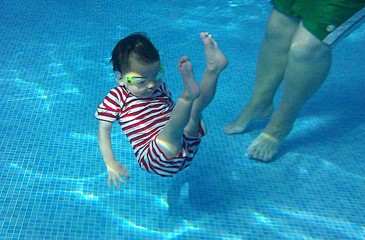 A proud Sanam added: "She hadn't even taken her first steps yet — but she could swim like a baby mermaid." Rosanna, who has gained her ten-metre certificate, likes diving and swimming underwater, and can do front crawl and butterfly strokes.